Halloween and Fall wouldn’t be complete without pumpkins! 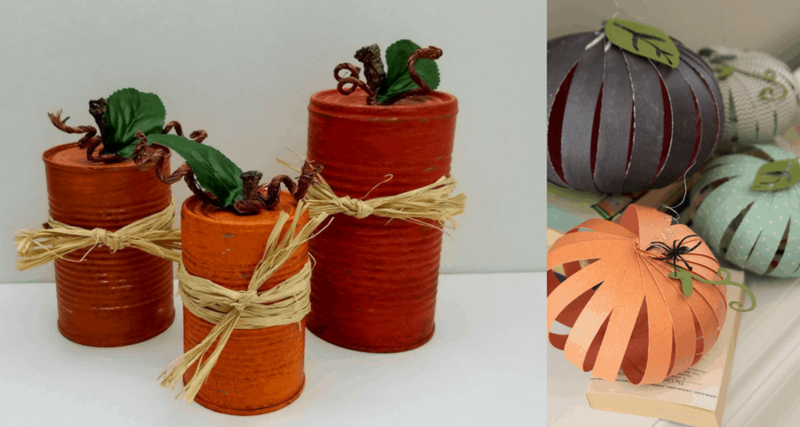 These 7 diy pumpkin inspired crafts are the perfect way to inexpensively decorate your home this season. 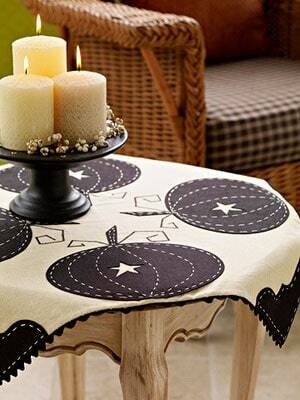 This pretty tablecloth is perfect for all Halloween and Fall celebrations. Get the template and instructions here. 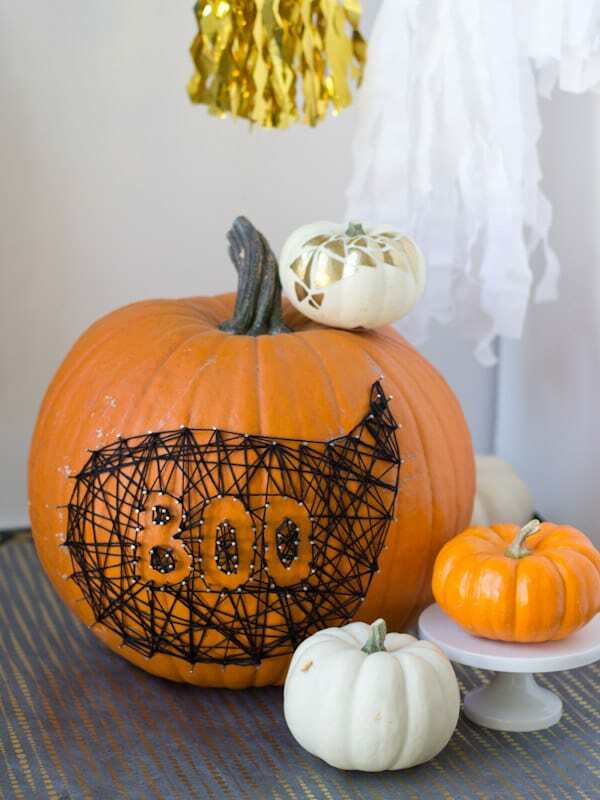 We love string art so think this idea of creating a string art pumpkin is fabulous. Click here to see the full tutorial. This is a great activity to do with (or without) the kids. 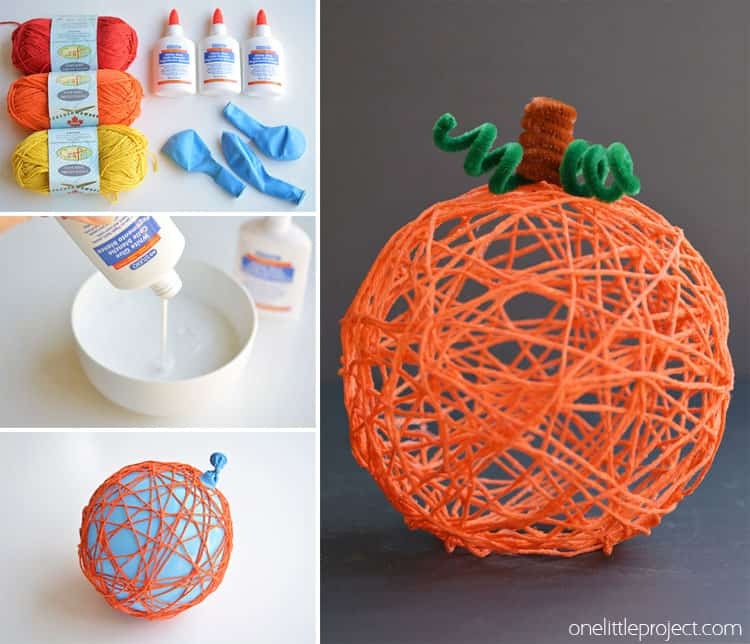 These cute yarn pumpkins are perfect to display around the house for Halloween and Fall. Follow this link to find the full tutorial. We love both of these garlands so much that both just have to be shared! Find the full pom-pom garland tutorial here. 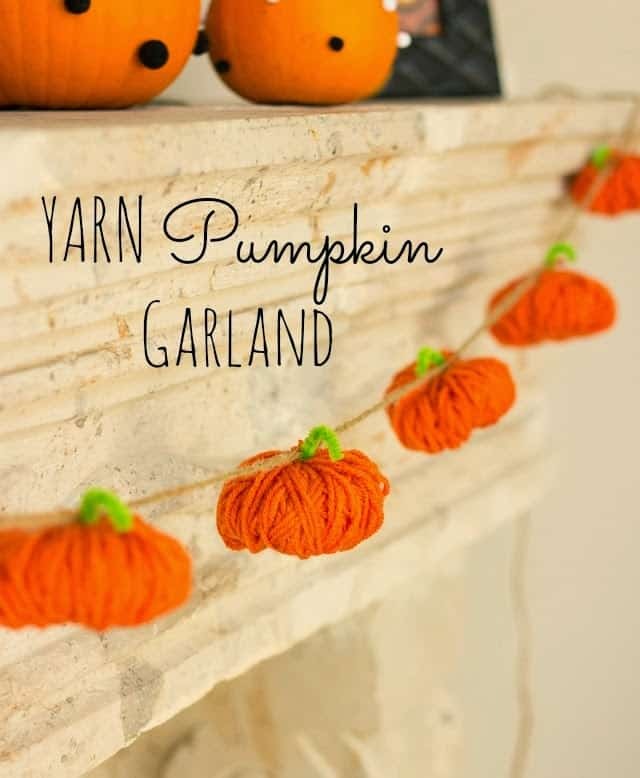 For the more traditional pumpkin shape garland click here. 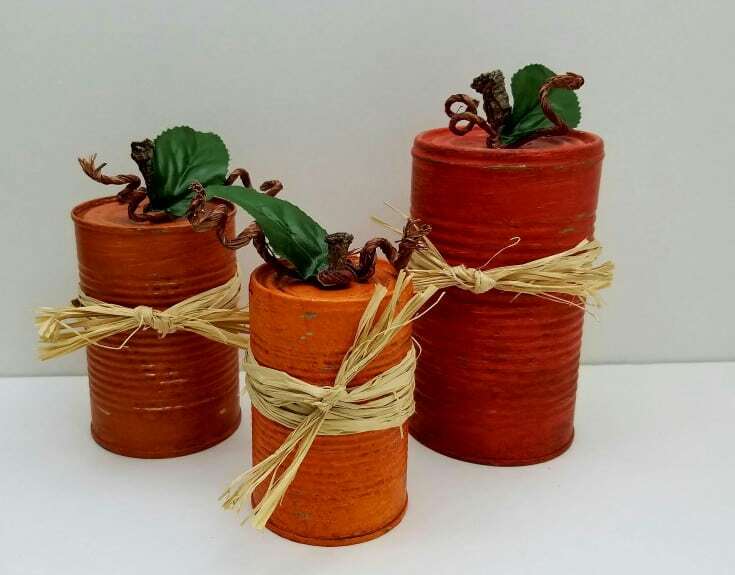 Upcycle old tin cans into beautiful pumpkins worthy for any fall display. Follow this link to get the full tutorial. 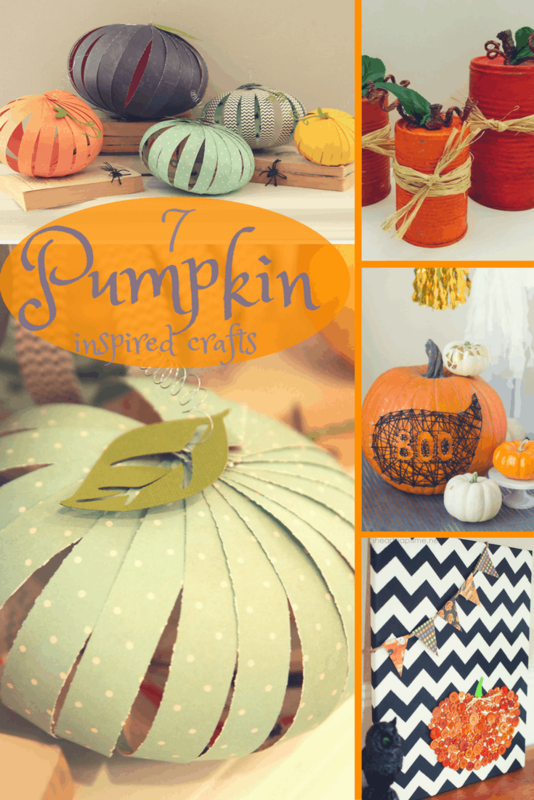 The pretty paper really transforms these pumpkins into a stylish pumpkin decoration. These pumpkins are super simple to make which is a huge bonus! Click here to get the full tutorial. 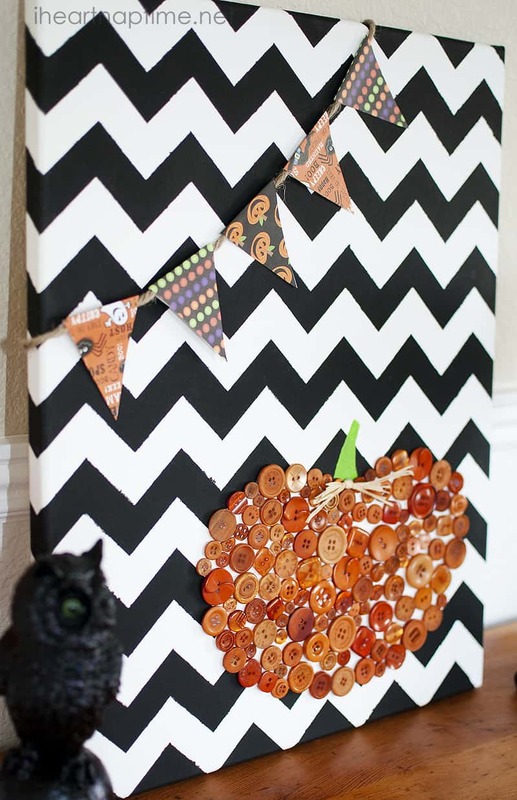 This amazing button canvas art is so much fun to make! There are quite a few elements to this canvas art and this tutorial explains them all in detail so you can achieve something just as stunning.